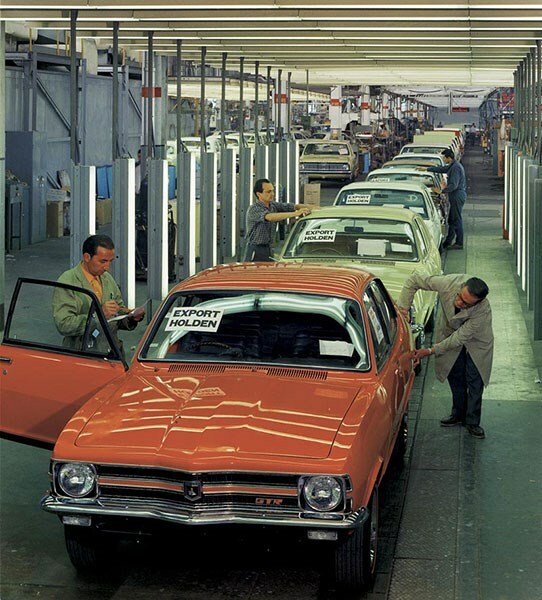 For a company that had so completely dominated the Australian ‘family’ car market, Holden took a long time to engage in the battle for small-car sales supremacy. It wasn’t until 1964 that GM-H offered a two-door sedan, which came from England in the shape of the Vauxhall Viva. That car was reshaped for 1967 and became the Holden Torana but was doomed to fall victim to the influx of Japanese contenders. 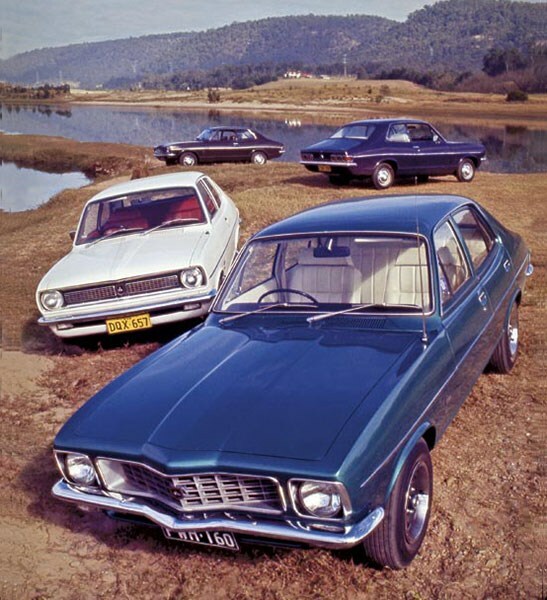 In October 1969, Holden introduced the car it called ‘A whole new concept, the six-cylinder compact.’ This, of course, was terminology that dated back a decade to the time when North American showrooms suddenly filled with Ford Falcons, Plymouth Valiants and the controversial Chevrolet Corvair. 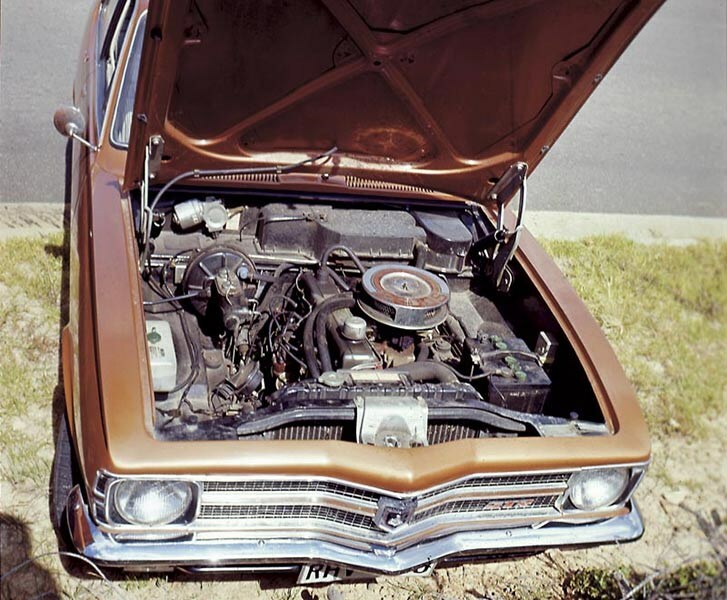 The six-cylinder LC Torana came with 2.25- or 2.6-litre engines; their 138 and 161ci designations already familiar to owners of full-sized Holdens. 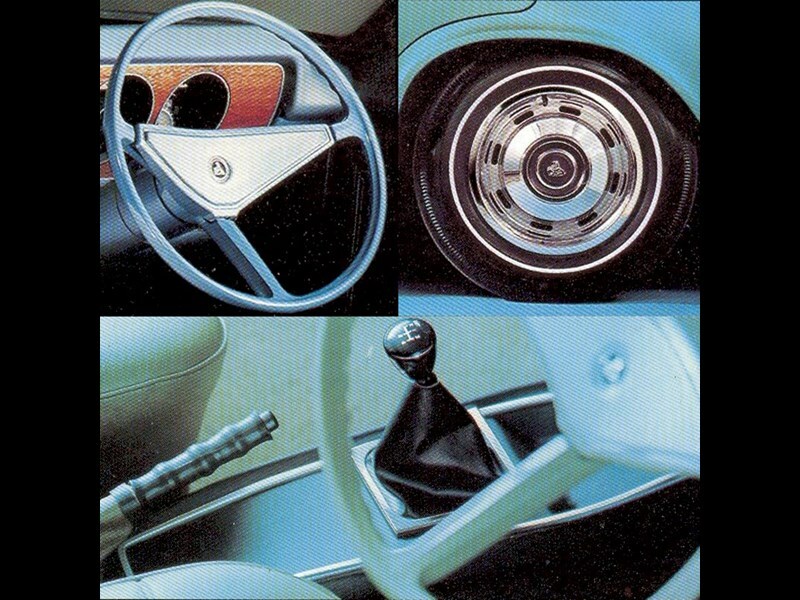 Three-on-the-tree manual transmission was standard, with four-on-the-floor or Australian-made Tri-Matic auto optional. Visually, the six-cylinder cars were simply expanded versions of the four-cylinder – which continued to contribute significant sales until it was discontinued in 1975 – but with a distinctive beaked nose and elongated bonnet to accommodate the extra two cylinders. The 2540mm wheelbase was 107mm longer than on the four-pots so legroom was improved. More significant was the skimpy distance between the wheels (aka ‘ track’) which was just 20mm wider up front than the four-cylinder car and actually 5mm less at the back on all but the wide-wheeled GTR. The suspension managed to avoid the old-fashioned semi-elliptic rear springs, Holden fitting coils all-round two years before it was made popular by the full-sized HQ range. Steering, thanks to the car’s British origins, was by rack and pinion with a tidy 3.5 turns lock-to-lock. Only the sporty GTR got an anti-roll bar and its absence in other models allowed nose-heavy LCs to generate more body-roll and understeer than some people thought desirable. Better news for the safety-conscious was the availability of massive 254mm front disc brakes as options. The differences in trim between S and SL versions included the 2.6-litre engine as standard, interior carpets, improved seats and tacky plasti-wood trim. Identifiers on the outside included the once-popular ‘C’ pillar badge, dress rims and an optional vinyl roof. 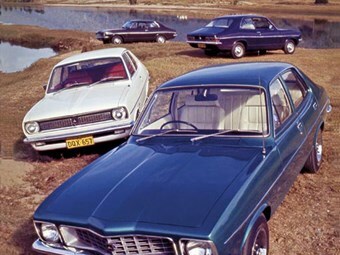 During two years in the market, more than 73,000 LC Toranas (excluding the XU-1) were sold. Ongoing popularity ensured Holden didn’t need to spend huge amounts of money on upgrading for the LJ model which appeared in February 1972. It was distinguished by an American-inspired inset plastic grille, following the trend pioneered by the HQ Holden. The tri-element taillights were also distinctive and far easier to see than those on the later LH model. The most powerful of the four-cylinder engines produced 46kW from 1.6 litres and even the small Toranas now came with disc front brakes. The six-cylinder retained its standard 2.25-litre engine but the optional motor grew to 2.85 litres and now produced 88kW. Tri-Matic transmission was popular in these cars and there seemed to be increasing interest in the four-speed manual. 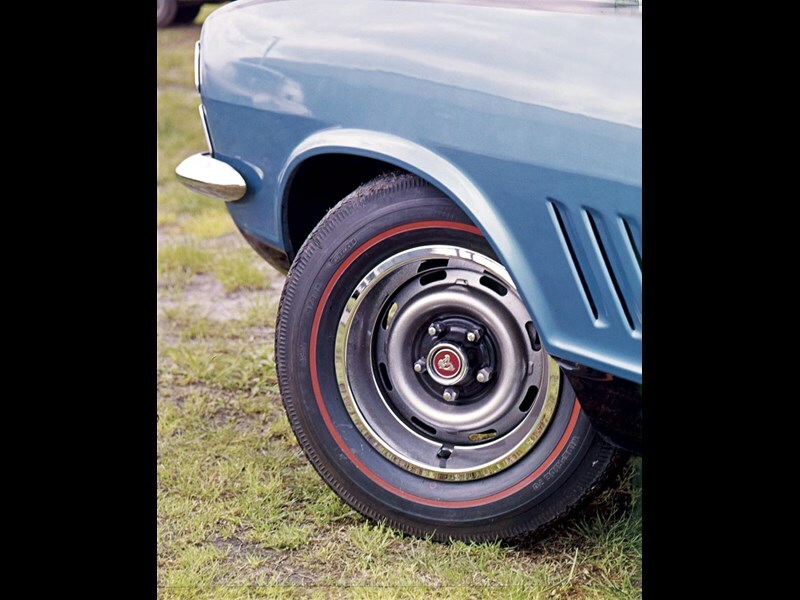 Disc brakes, sports wheels from the GTR and a new colour range ensured the Torana could be optioned in many ways and remained popular with drivers in all age brackets. From 1973, the 2.25-litre disappeared and 3.3-litre motors became available to S and SL buyers. When the all-new LH Torana replaced the six-cylinder LJ in 1974, the four-cylinder range was renamed TA, it adopted a new plastic grille and overhead-cam 1760cc engine. 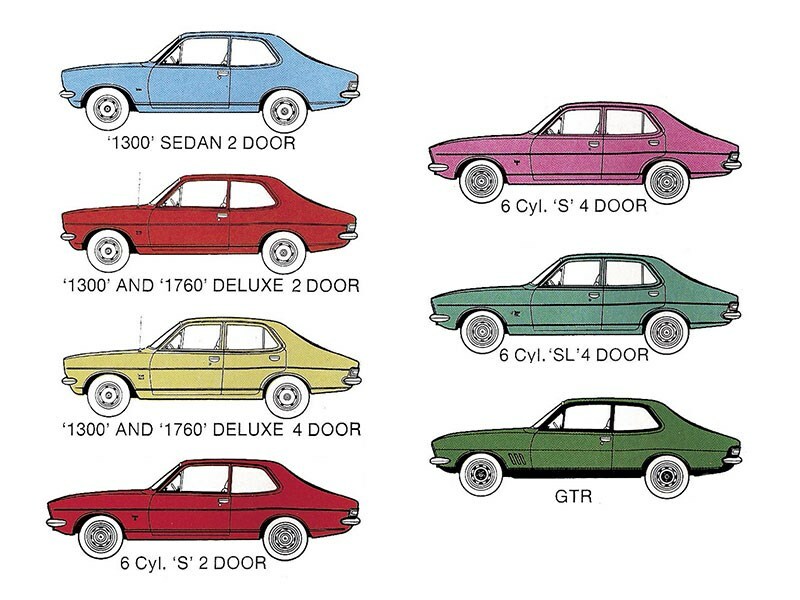 More than 11,000 of the smaller Toranas sold during 1974-75 but they are today very difficult to find. People who comment on the handling prowess of the early Toranas often base their views on the responsive and rapid XU-1. When it comes to the lower grades, you can forget the ego-stroking notions of Peter Brock dancing an LJ through the Mt Panorama Esses or Col Bond en route to one of the four Australian Rally titles he snared while driving a Torana. A six-cylinder ‘T’rana’ running on Dunlop Guardian crossplys – remember them? – handled like a barrow of bricks. A tightening bend taken a little too fast would instantly demonstrate the physics of dumping a weighty six-cylinder engine into the space vacated by a ‘four’. The four-cylinder cars on 12-inch wheels also did their share of screeching and shrieking into bends but there wasn’t enough power to cause serious mayhem. The 2.6- and 2.8-litre engines effectively doubled the Torana’s capacity and helped put extra weight ahead of the axle line without major improvements to the suspension. The coil springs were thicker and stronger, as were the shock absorbers, but only the GTR got a standard anti-roll bar. No wonder the ‘sway bar’ manufacturers that proliferated during the 1970s did so well out of Torana owners. Both front and rear bench seats are pretty horrible, with minimal side and thigh support. Front buckets, providing they haven’t collapsed so deeply the frame presses on your legs, give a better standard of comfort. Seeing out of the back seat is a challenge as the windows aren’t large and the view forward is obscured by headrests. 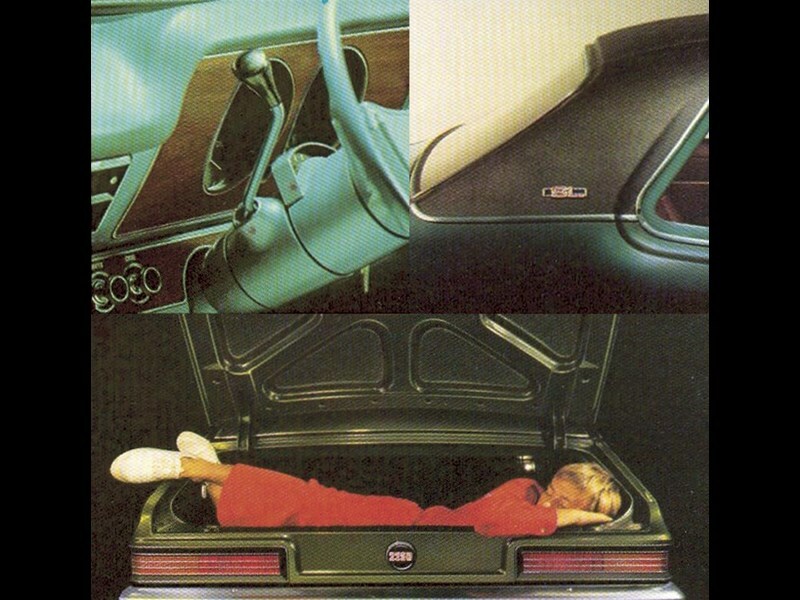 The back seat was not originally supplied with seat belts. Boot space is sensibly maximised by a spare wheel that stands in the right-hand corner but even the six-cylinder cars have only a 45-litre fuel tank. You could fit a reproduction XU1 long-range tank but then the luggage has to go on the back seat. Tri-Matic cars are relaxing to drive and deliver reasonable performance; avoiding the clunky three-on-the-tree manual is worthwhile. That leaves the four-speed SL, which is most frequently found behind a 2.85-litre six-pot. Performance from the larger-engined cars may seem a bit drab when pitted against modern 3.0-litre medium sedans but 40 years ago a four-speed ‘2850’ SL was a snappy bit of gear. Making the stodgy overhead-valve engine rev hard enough to entertain was a challenge though; peak power in the SL arrived at just 4400rpm —a 3.3-litre ran to 4800. Top speed wasn’t bad, with 2.8-litre cars hitting the wall at 156km/h and the LJ GTR managing 172km/h. Mid-range punch from four-speed cars made them excellent for quick country trips, however it was then that you noticed the pitiful fuel tank combined with 14L/100km thirst. Everyone got to stretch their legs every 350km when the petrol pump beckoned. Economy from four-cylinder cars should have been appreciably better than the six but really wasn’t that flash. Cruising at 80-90km/h on a highway, the 1.6-litre Torana manage 8L/100km but pushing to keep up with the traffic drove consumption past 11L/100km. Almost 155,000 non-XU1 Toranas were made (including around 15,000 for export) and you would think that plenty of those would survive. 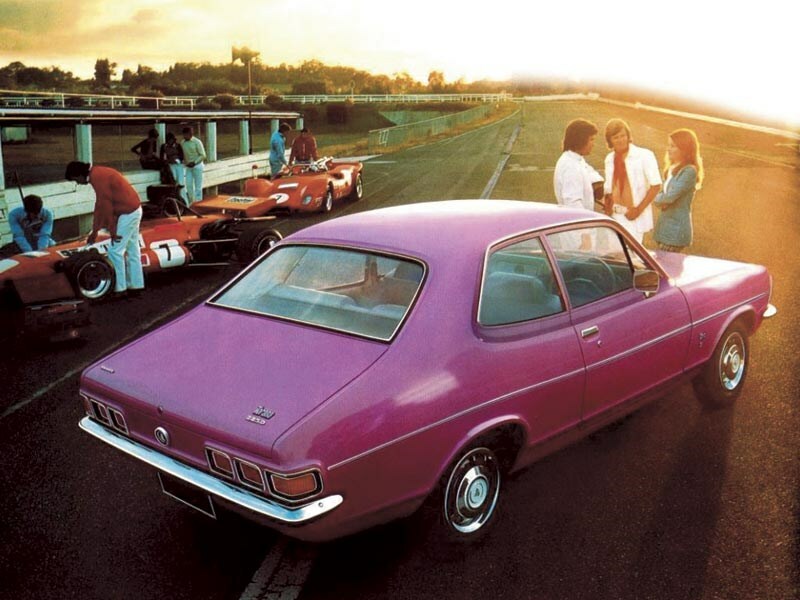 Fact is, early Toranas have become difficult to find, especially in ‘off-the-showroom-floor’ condition. Many two-door cars have donated their shells to GTR or XU-1 repros and a few have turned ultra-feral as XU-2 V8 tributes. Cars with replacement six-cylinder engines and non-standard paintwork are far more common than those with all of their original components in place. Unrestored but viable cars sell for less than $10,000 and parts are available to replace rusted sections of bodywork and trashed interiors. Scanning the classified sections of Torana Club websites revealed slim pickings for those in the market for a basic car. Choices were generally limited to XU-1s real or replicated or lesser versions in noticeably modified condition. Keeping eyes open while touring the suburbs or in major carparks might reveal suitable targets and a note headed ‘If you want to sell...’ can often bring results. Prices vary enormously (easily by a factor of 10) depending on model and condition. History and authenticity are major determinants of how much to pay for a Torana. Rust has killed plenty of older Holdens and careful inspection is required to avoid big repair costs. Window surrounds demand very close attention to bubbling or poor previous repairs. Cars with vinyl roof covering are susceptible to hidden rot so look for discoloured patches or brown staining around seams. Wheel-arch lips must be examined for filler, so too the sills, door bottoms (lie under the door if possible), boot floor and lid. Reproduction sheet metal including front mudguards, sills and floor-pans are being made for local suppliers and even some chromed and stainless parts are available new. Make sure the flip-out door handles work. Old Holden engines are wonderful things with the ability to cover huge distances without failing completely. Towards the end of their lives the pistons and valves rattle and they puff ominous smoke at start-up. Oil leaks from the rear main bearing seal, cylinder heads and rocker covers are annoying rather than dire. Check for carburettor fuel leaks and overheating due to a worn water-pump or clogged radiator. Tri-Matics should engage gears within a second or so and not thump when down-shifting. Four-speed manuals built after mid-1971 used the stronger M-21 transmission and earlier cars may have been converted after their troublesome ‘Opel’ ’boxes failed. Nothing that is broken underneath a 1970s Torana can’t be fixed or improved upon however some owners give their cars a pretty hard time. Big wheels hosting extremes of low-profile rubber punish wheel bearings and suspension components so have a professional check before buying. Sagging front springs are common, and look also for rust around rear suspension mounting points. Check brake disc rotors aren’t warped or deeply scored; replacement rotors and master cylinders are easily sourced, though the cost of a complete refit can add up. The electrics are so simple that owners can bypass faults or deal with ‘quirks’ for years. Once the ignition switch wears you can start them with a range of objects, however new keys and barrels aren't too expensive. The foot-mounted dip-switch can also cause frustration. Make sure the demister works and the fan isn’t too raucous. Worn and torn seat trim and dash deterioration aren’t costly to rectify. Replacements for peeling mock timber facings might need to be found second-hand. Bucket seats collapse and benches jam on their runners. Centre consoles for the SL and hood-linings are available available.